” TOHOKU REVIVAL CALENDAR” is a website created to send the message that Tohoku is great, to Japan and the rest of the world. We want to add the story of Tohoku’s recovery to “TOHOKU REVIVAL CALENDAR”, and by doing so, we want to show our support to people who are moving forward, and for「what”s next」for Tohoku. The copyrights of all the contents on this web site are belong to the webmaster, except for the ones with particular descriptions. -You may not use this work for commercial purposes. -You may not alter, transform, or build upon this work. You must contact the webmaster if you need to use the videos on this web site. 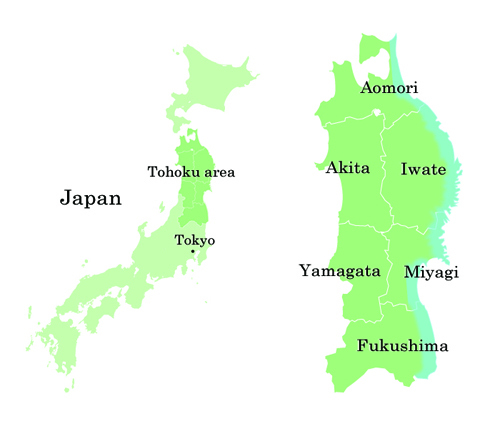 Send us pictures and/or movies about positive subjects in Tohoku area after 2011 Tohoku Earthquake. We will post them on this web site. 1. The movies and pictures must be about positive subjects about Tohoku that you want to let people know or let it last long. 2. The movies and pictures may not be commercial nor something against public policies. 3. Basically, we will put the names of senders on this web sites when we post the videos or pictures we received. 4. We may use the videos and the pictures for the purpose of education or revival of Tohoku. Linking to this site is allowed. However, the webmaster would ask to refrain from linking to illegal websites, or websites with contents deemed inappropriate by the webmaster. If you are contacted on such a matter, we would appreciate a quick reply. Please note that URLs and contents on this site may change or be removed without notice. Please use the size of your choice from the following. See “Linking” above about use. This site may change its policy without notice. If the site changes its policy, Please follow the rules according to the revisions.